The newest iteration of the iPad is officially foraying into serious content creation and it’s not by chance that Apple has waited until the iPad 2 to do this. Apple has stated in the past that, it only releases a product when it believes that it will perform to users’ expectations, smoothly and efficiently. It’s the iPad 2’s new A5 chip with much enhanced computing and graphics processing power which allows it to be much more. 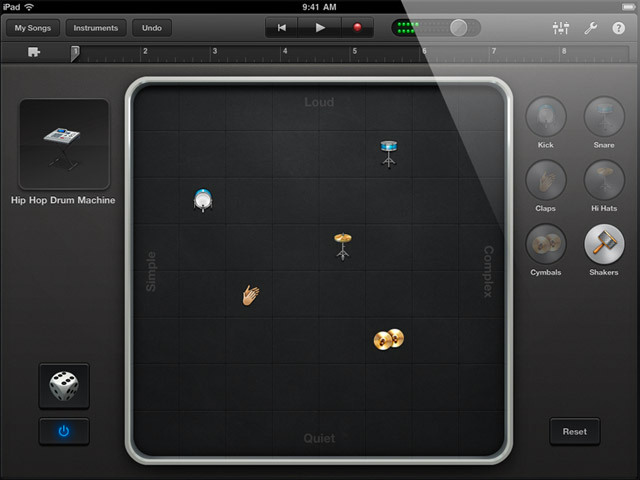 Apple is launching for iOS and the iPad 2, two classic Mac titles, iMovie and GarageBand. We think it’s both a very smart and wise decision to go with these two established titles, first because users are already familiar with them and second, but mainly, because they would benefit from the iPad’s large touchscreen interface. 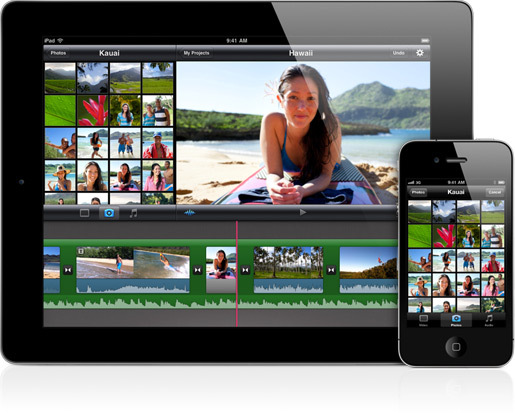 iMovie: The interface consists of a large scrollable and selectable timeline where you can pinch to open transitions and do precision edits while another major function is to physically drag and drop items. 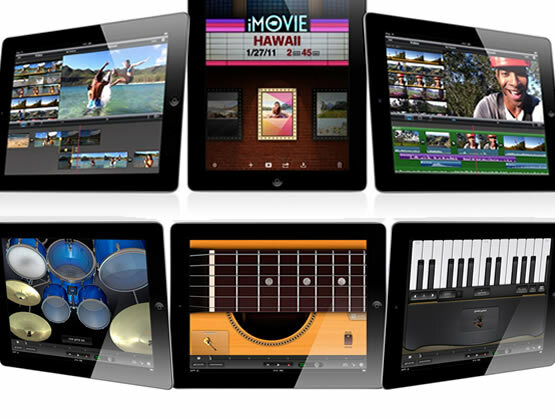 Initial accounts are that iMovie for iPad is very smooth and we can really imagine a lot of people editing their amateur (or not so amateur) videos on the go or just sitting at the couch, and sharing them with friends. So that’s one thing that you won’t need to use your laptop for anymore. 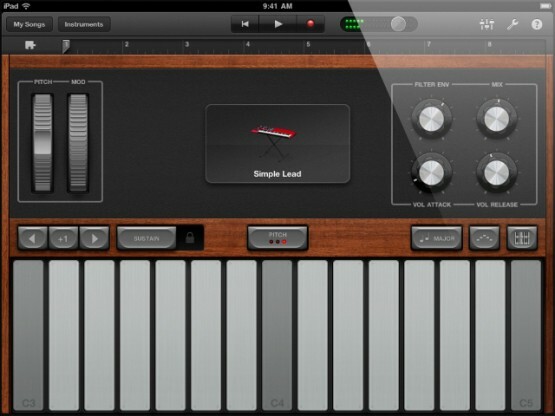 GarageBand: The iPad 2 becomes a one man band, drum machine and eight-track recording studio. 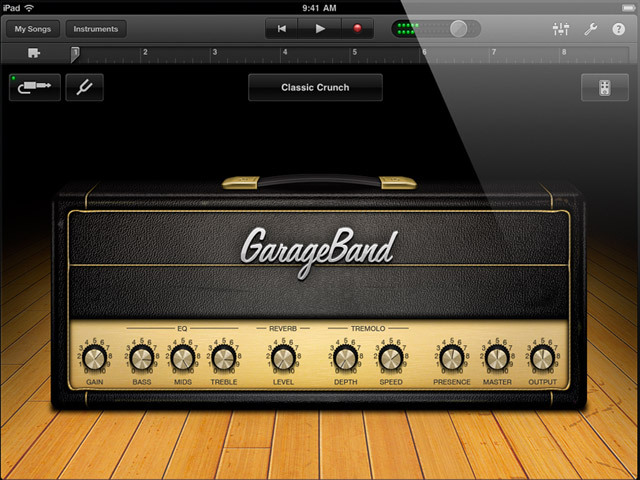 GarageBand for the iPad offers a number of touch instruments such as keyboards, synthesizers, acoustic drum kits, guitars and drum machines. 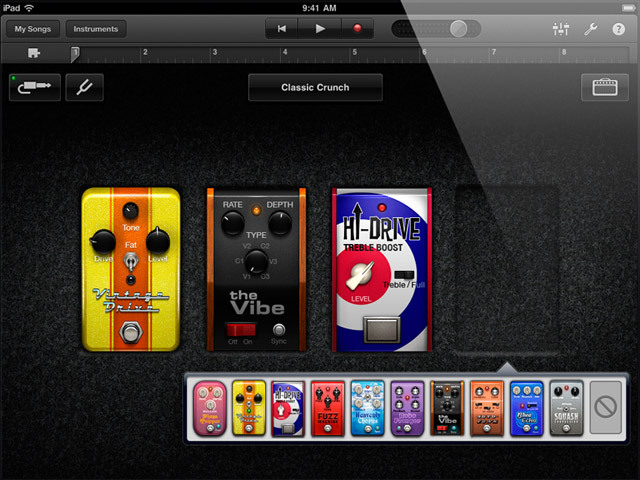 You can also plug in a guitar, use virtual knobs and pedalboards and record the result. 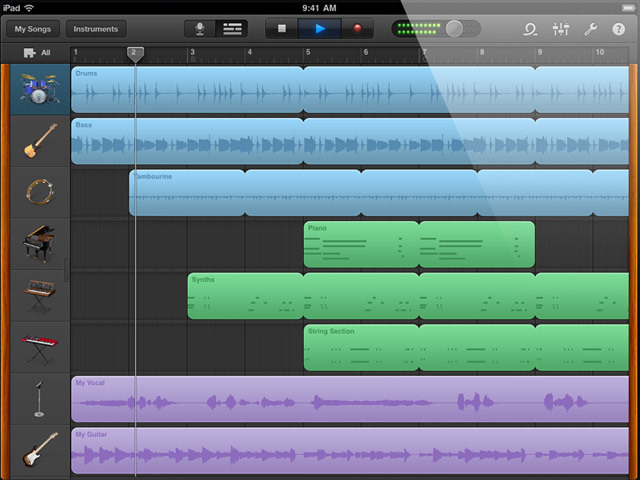 The application then allows you to arrange a song on a timeline, fine-tune the result using a mixer and finally export and share the finished track. This application does not seem like a toy, it really seems to have some very useable expert features. So yes, for us this is officially a turning point for the iPad, and while it hasn’t taken long, this is when portable devices have become powerful enough to be able to be used for more intensive (and productive) applications. Apple is really challenging the limits of creativity on the go here and we feel that this is only the beginning. The Trojan horse has been unleashed and is slowly entering the gates of the laptop kingdom.